The Korte Company was selected by the U.S. 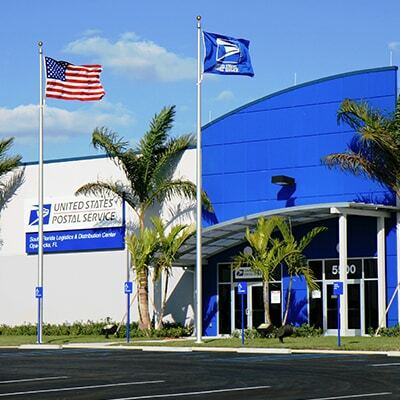 Postal Service to deliver a design-build 62,440 SF building expansion with 56,000 square feet of workroom space and 6,800 square feet of an exterior covered platform to accommodate ten loading docks. The scope of work included the demolition of an existing structure on site, as well as the redesign and expansion of the existing parking areas to accommodate a total of 989 spaces and trailer drops to support the facility and addition. The expansion was concentrated along exterior walls of the existing facility, which was fully functional during all phases of construction. Personnel access was provided through a number of openings in the work area and allowed operations to function without any disruptions. Additional employee support facilities were provided in the overall design that modernized the existing work flow and resulted in a more efficient workplace.